The Russian authorities stepped up the persecution of political activists who oppose the elections of the head of the Russian Federation on March 18, the international human rights organization Amnesty International reported. "The Kremlin's intention is crystal clear - to clean the streets of the most zealous demonstrators and supporters of the boycott at the final stage of the election campaign," Deputy Director of Amnesty International for Europe and Central Asia Denis Krivosheyev stated. He went on saying that the authorities resorted to "their favorite method - to put their critics behind bars without any reason." 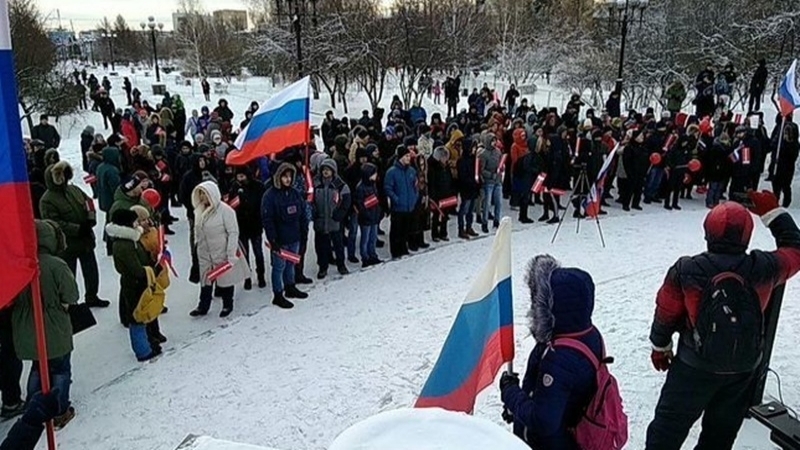 Human rights activists note that the supporters of the Russian oppositionist Aleksei Navalny have recently become victims of various persecutions, including arbitrary arrests and detentions. Note that Navalny was denied registration for candidates for the presidency of the Russian Federation, so now he is propagandizing the idea of boycotting the elections. Reference: Presidential elections in Russia are scheduled for March 18, 2018. On this day four years ago, the so-called agreement on the annexation of the Crimea and the city of Sevastopol to Russia was signed. QHA reported that the Head of the Mejlis of the Crimean Tatar people Refat Chubarov said that on the eve of the so-called "elections" in Crimea, the pressure on the Crimean Tatars had increased.